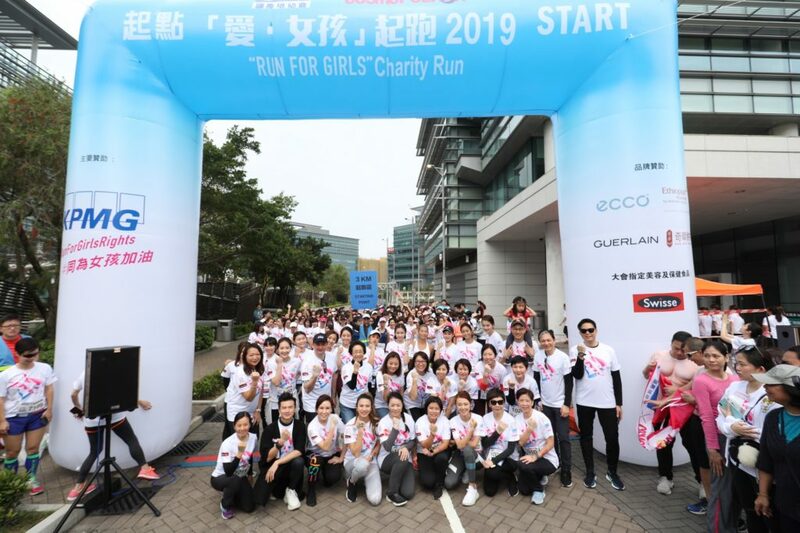 The 3rd “Run for Girls” charity run co-organised by Plan International Hong Kong and women’s magazine Cosmopolitan was successfully held on 17th March 2019. 1,500 females signed up for the 10.11Km or 3Km race to help raise funds for underprivileged girls. Underprivileged girls living in developing countries have to face multiple threats, especially for those living in crisis and conflicts. They are living in overcrowded shelters with limited access to resources and facing separation from their family, dropping out of school, hunger, lack of sanitation facilities and the threat of sexual violence. The charity run, with the theme “Girls in Crisis”, is to encourage the public to strive for girls’ rights. Ms. Chan Yuen-han, SBS, JP, Chairperson of the Women’s Commission was the officiating guest of honour. Dedicating herself to advancing the interests of women in Hong Kong, Ms. Chan is also very concerned about the dire situation faced by girls in developing countries. Therefore, she encouraged the public to support girls’ rights. 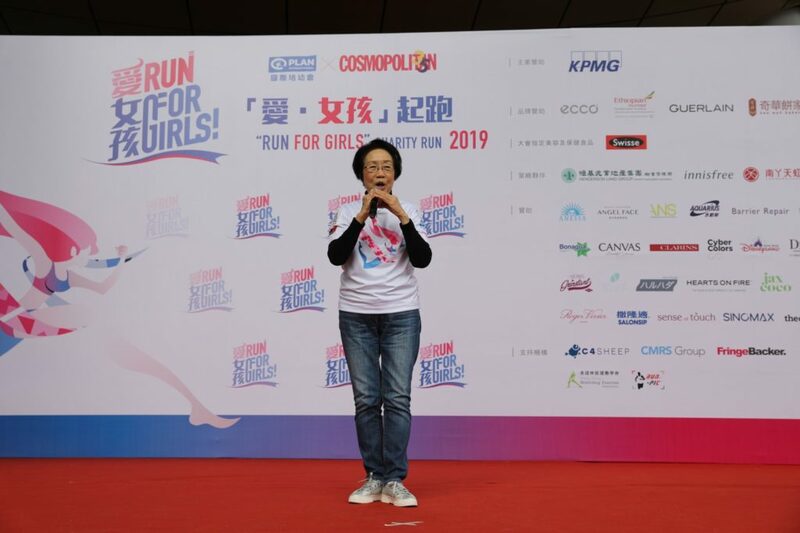 Ms. Chan presided over the ceremony with other guests by flipping over foam boards to show hashtags #RunforGirls and #為女孩加油. Thereafter, Ms. Chan led the guests to the starting line to cheer the participants on. Ms. Chan Yuen-han, Chairperson of the Women’s Commission has dedicated her efforts to advancing the interests and development of women. 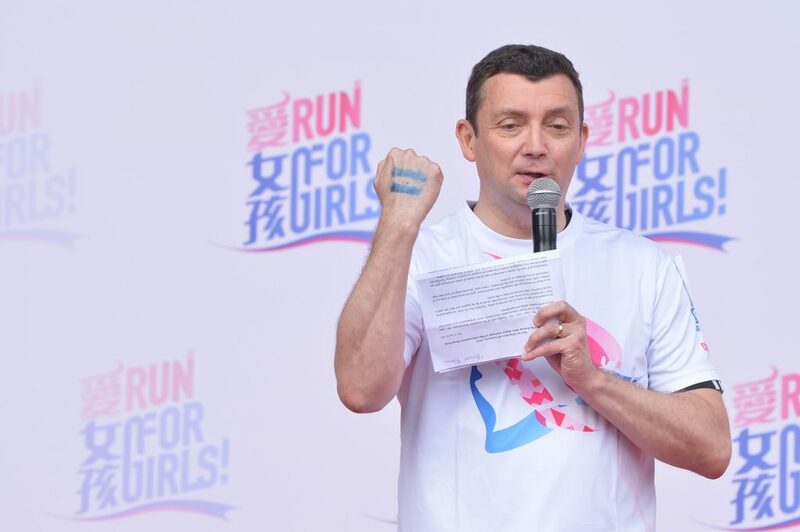 Mr. Andrew Weir, Board Chairman of Plan international Hong Kong showed the symbol representing Plan International’s latest global campaign, ‘Girls Get Equal’. 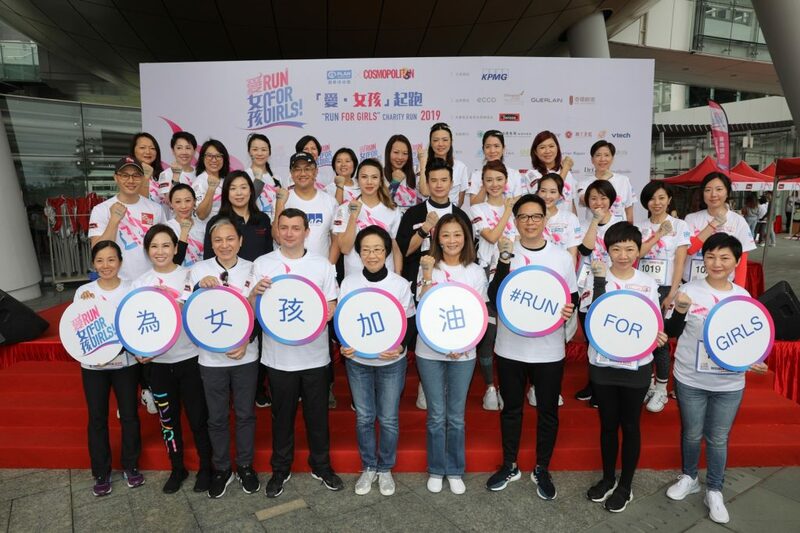 Distinguished guests flipped over foam boards to show hashtags #RunforGirls and #為女孩加油 to kick start the event. Mr. Andrew Weir, Board Chairman of Plan international Hong Kong delivered the welcoming speech and expressed his gratitude for the support of all participants and sponsors: “As a result of existing gender inequality and discrimination, girls are more likely to drop out of school, suffer from violence and discrimination, marry early, become pregnant and lose their livelihoods during disasters or conflicts. That’s why Plan International has launched a new global campaign – ‘Girls Get Equal’ to ensure girls and young women have power over their own lives and can shape the world around them.” The net proceeds of the Run will fund the establishment of “Girl-friendly” safe spaces in refugee camps in Rwanda to help girls learn more about reproductive health and acquire livelihood skills. 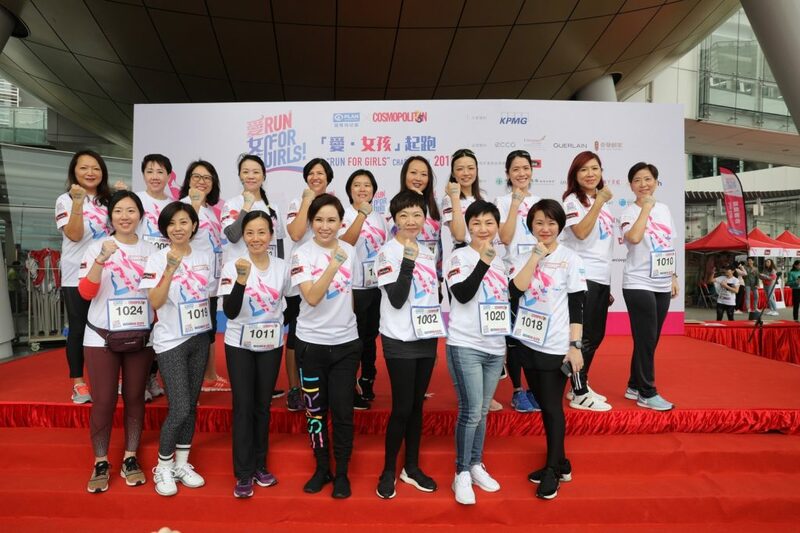 Ms. Chan Yuen-han, Chairperson of the Women’s Commission, Mr. Andrew Weir, Board Chairman of Plan international Hong Kong , Ms. Josephine Chan, Managing Director of Cosmopolitan, Ms. Leung Chung-yan, Member of Equal Opportunities Commission and the ambassadors showed support to the participants. Phenomenal women across industries were invited joined the race. 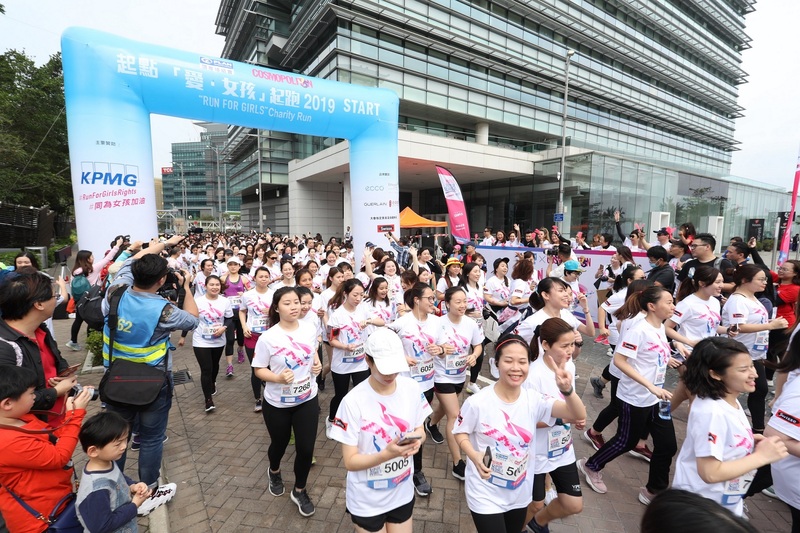 1,500 female signed up for the charity run co-organised by Plan International Hong Kong and Cosmopolitan to fight for girls’ rights. The donations received last year have helped support the anti-trafficking work in Nepal. By operating booths on the border with India, we help people look out for signs of trafficking and provide a space for reporting concerns. Meanwhile, trafficking survivors are supported with required services, like support for their repatriation, so that they can start a better new life. Over 3,000 girls and women are benefitted so far.